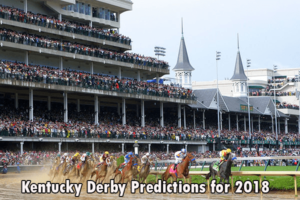 Are you the one who can’t wait for this year Kentucky Derby? Well, it’s not actually a good news.The 3 years old Kentucky-bred Gronkowski seems to miss the Kentucky Derby 2018 due to “minor step back” after spiking the fever during last week. Even though Gronkowski the horse is getting well after antibiotic treatments, Phoenix Thoroughbreds likely confirms that he’s still not been able to make a long trip. Well, it’s actually a sad news as the European-American transfer has been shocked with the phenomenal Gronkowski. Gronkowski, even though is a Kentucky-bred, has been trained and racing in the UK. He’s qualified to join the Kentucky Derby after being on top of his home-continent horse list. It’s no more than a couple weeks since the Phoenix Thoroughbred has confirmed that Gronkowski joins the team. the ownership group has expected Gronkowski to join the Kentucky Derby 2018 before spiking a fever. 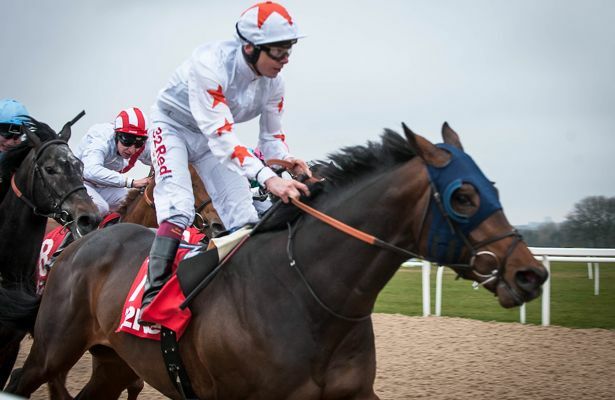 The Phoenix Thoroughbred has purchased Gronkowski for about US$ 425,000 from the Tattersalls auction last year. Kerri Radcliffe conducted the transaction on behalf of this multimillions Dubai-based company to buy the two-years-old Gronkowski which now has 4-1-0 record. The ownership group seemed to purchase the horse at a very reasonable price. The Gronkowski condition has declined during the last week and got worse at the end of it. The fever was developed as the antibiotic treatment is on the way. The treatment itself has managed to handle the illness. However, Phoenix Thoroughbred has confirmed that Gronkowski won’t join the Kentucky Derby 2018. Many people have put their concern on then Gronkowski’s condition. Before the absence was confirmed, people were highly wondering and following the progress of Gronkowski’s condition. It seems that all the parties want the horse to join the derby, want to see how this half-million-dollars run on the field. Even the Rob Gronkowski, who has the same name as the horse, gave his best wish for the horse. Before the weekend, the Phoenix Thoroughbred still scheduled to fly Gronkowski to Kentucky. Nothing has changed before a setback occurred within the next days. Jeremy Noseda, the trainer, didn’t want to speculate and chose to wait the confirmation about the Gronkowski’s condition in the next day. Even though there is no official cancellation of the schedule but the biggest chance is that Gronkowski will stay in England as the Kentucky Derby 2018 begins. In other hands, Quip which has shocked the field of being runner-up of the last Arkansas Derby. Unlike the Gronkowski, Quip will miss the Kentucky Derby 2018 due to his preparation for the Preakness. The co-owner of Quip who is also the WinStar Farm CEO, Elliott Walden has clearly confirmed the colt’s absence on the Kentucky Derby 2018. Now, Quip has 3-1-0 record of total five starts. Rodolphe Brisset was training Quip when the colt finished as runner-up in the Arkansas Derby. Quip actually managed to reach Kentucky Derby no.20 due to Arkansas’s finish and its previous winning on Tampa Bay Derby. The age and the points make him eligible to join the main card on this Kentucky Derby but the owner group has decided to skip it. The Kentucky Derby 2018 will practically go without Gronkowski and Quip. These absences may provide a chance for Instilled Regard which is no. 21 on the point list after its fourth finish in the last Santa Anita Derby. Along with Instilled Regard, the Combatant also enters the top 20 due to the absence of these two colts. Both colts will miss their debut on the Kentucky Derby. Well, you can still see Magnum Moon, Good Magic, Audible, Noble Indy, Vino Rosso in the first five positions. The Todd Pletcher-trained horses seem to dominate the top five point list, the four horses has arrived in the Churchill Downs at Monday. The Kentucky Derby 2018 is 144th annual two-minutes horse races where 20 horses will compete to be the first reaching the finish line on this 5th May. NBC will nationally broadcast the Derby for the main card and additionally put the undercards on the NBCSN. The main card event will start at 2:30 ET while the undercard games will start at 12:30, it’s better to enjoy the pre-activities.